As the Brexit negotiations became more difficult, the European Union has demanded that Britain take responsibility for all the bankrupt Greek islands, including Corfu, Crete and half of Cyprus; plus a few other islands with unpronouncable names and occasional volcanic eruptions. This will pay off most of the £100 billion British financial settlement with the EU. 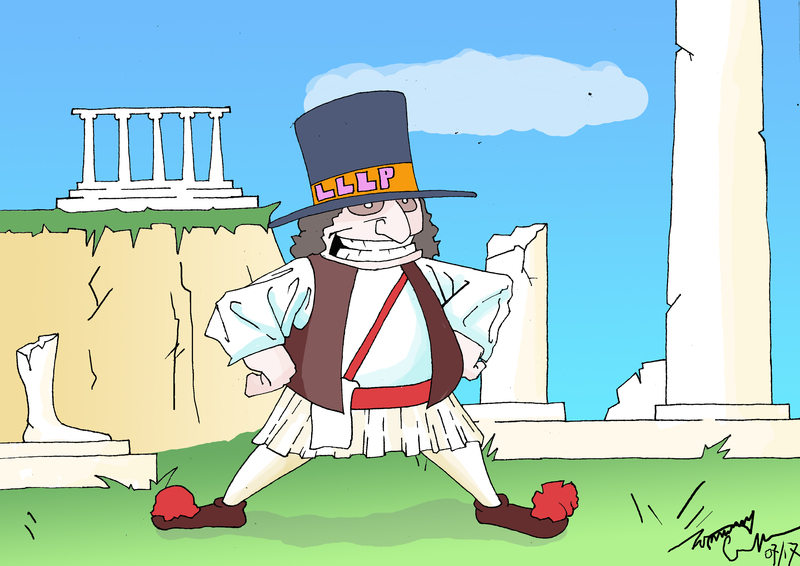 In turn the UK Government has agreed to transfer the Greek islands, debt free, to the Last Laugh Looney Party Island Republic. The Last Laugh Looney Party Island Republic with its Cunard ships, Virgin planes and trains and Greek islands, is now the largest tour company in the world. Hello ! Hello! what is this blog all about? I note the transport policy for the LLLP Republic is by sea land and air, by some of the more common companies, that charge around the globe, looking for that that old clientelle, who may have a few bob tucked safely away under their materess. I lay back gentlly in my deck chair in my garden, and just dream? I recieved a blurb from SAGA, and that is not a holiday company anymore but a social industry into those over 55 providing advice and oportuniities for a fee to go on holiday, provide financial advice, and property reinsurance, and imdemnity to help release funds in an owned property. There again take P&Oand Cunard shipping lines they offer a cruise of a lifetime-booze to numb ones senses, and sights into exciting parts of the world. All done gentelley with manners and grace, and promised fine weather. Then if one were to examine more carefully the cruise industry of the western world, one would come to one holding comapny Carnival Cruises of the America’s or is it the money pots of the Caribean, and while one may rejoice in the services provided, one of the Cruise Companies is Disney, and ‘Mickey Mouse”? It is all in the eye of the beholder, and the LLLP REpublic need these dreams to make the political views of the British Establishment, and to some extent the USA to tell the truth– spend spend spend, and let tomorrow take care of its self, with no regard for how one pays the bill? The more weathy persons or nations may be richer in monetary terms, but as a Republic the Last Laugh Looney Party needs a good dose of common sense and a little more compassion for ones fellow citezen, without the rigours of pure socialism.